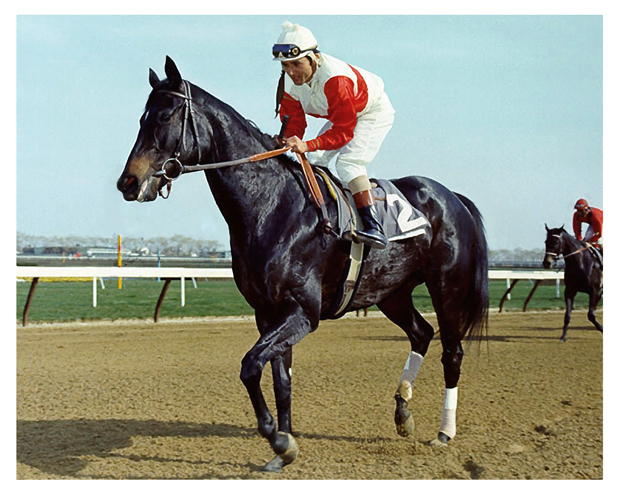 Ruffian never allowed anther horse in front of her at any point of any of her races. 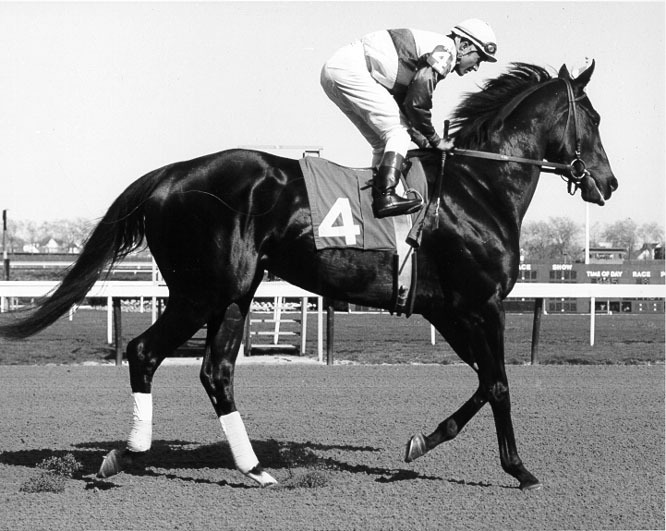 Ruffian broke or equaled the track record every time she ran. Her beauty and accomplishments will live forever. 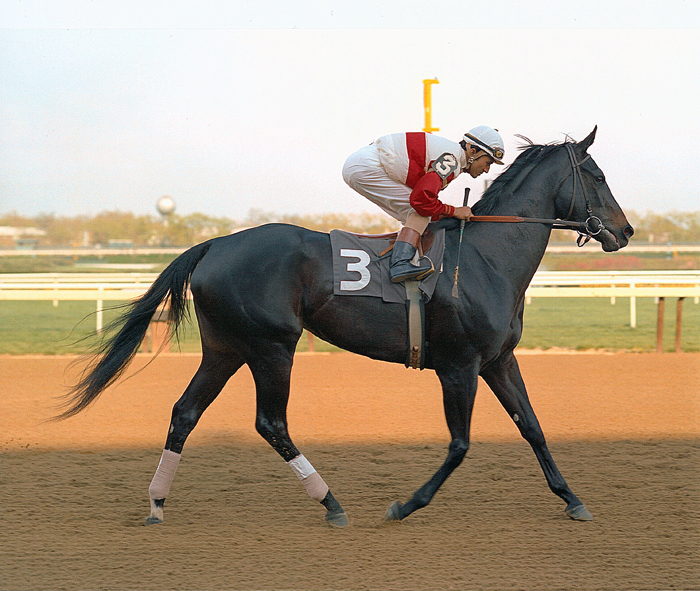 Ruffian wins the Caltha Purse 4/14/75 – Purse $20,000 – Ruffian defeats Sir Ivor’s Sorrow. Jacinto Vasquez is in the saddle. Ruffian romps to victory in blazing time. This is her first race back in 1975. Ruffian on the track the Comely Stakes 4/30/1975 – Purse $25,000 added – Ruffian on the track for the Comely Stakes at Aqueduct Ruffian defeats Aunt Jin & Point in Time. Jacinto Vasquez is in the saddle. The filly we love most romped to victory in blazing time 1:21:1. Ruffian’s size and determination are easy to observe. 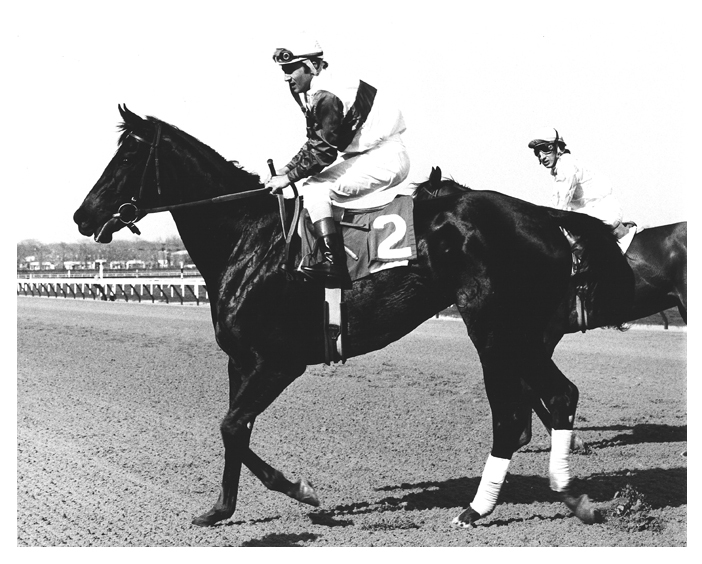 Ruffian wins the Filly Triple Crown – CC Oaks post parade – This grand Ruffian photograph pictures the parade to post of The Coaching Club American Oaks, Jacinto Vasquez in the saddle. The filly we love most on the verge of her greatest moment. 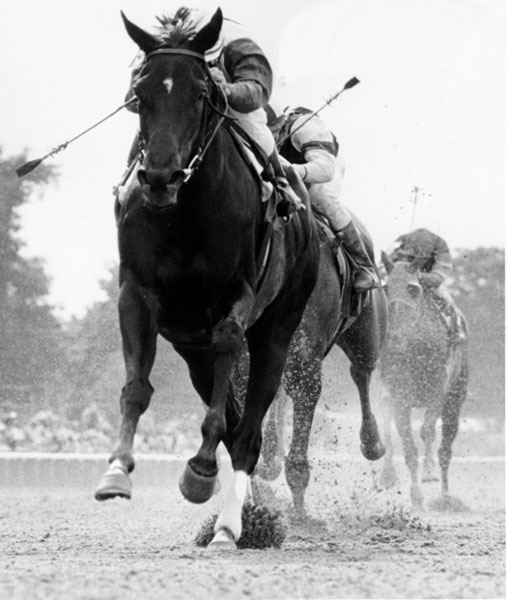 Ruffian – The Acorn Canter – This photograph pictures Ruffian and Jacinto Vasquez parading to the post in the Acorn Stakes. 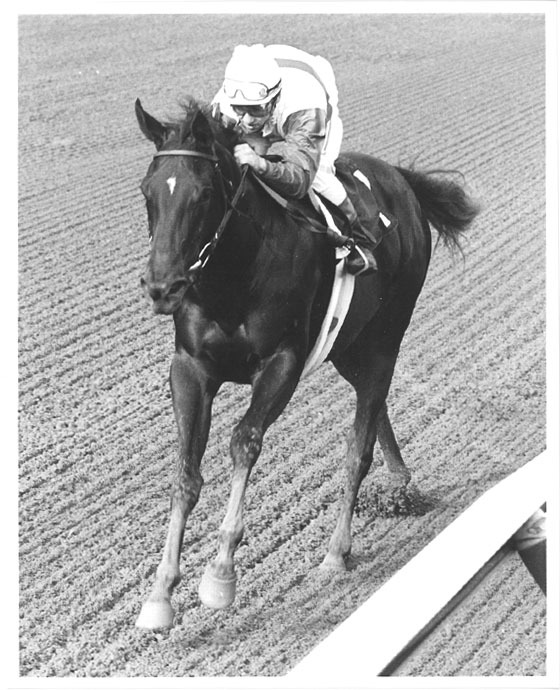 Ruffian – Coaching Club American Oaks – This photograph pictures Ruffian and Jacinto Vasquez driving to the finish line and winning the filly triple crown. 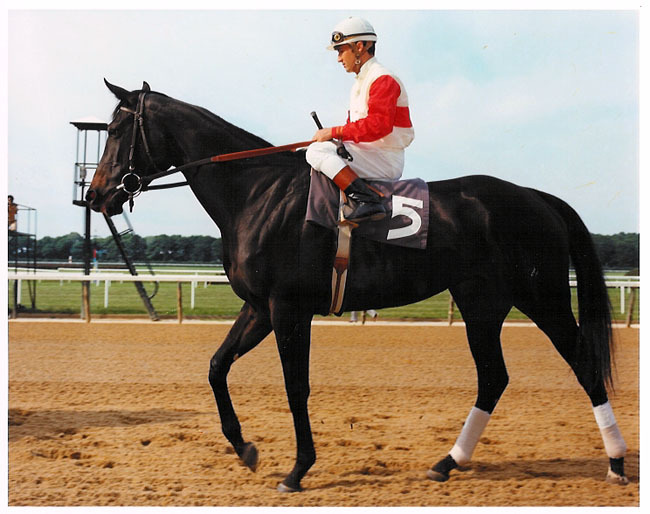 Ruffian – The Spinaway Stakes. 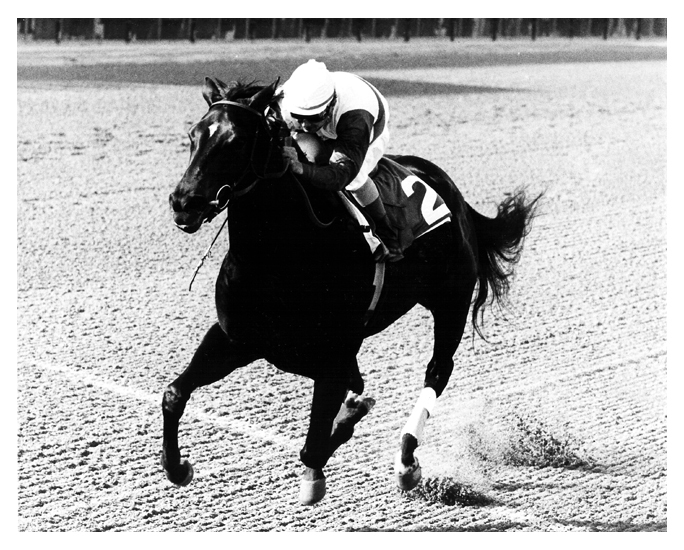 This photograph pictures Ruffian winning the Spinaway Stakes at Saratoga racetrack. in which she ran the 6 furlongs in the time of 1:08 3/5. Show Host Ed McMahon (“Here’s Johnny”) presents the trophy to the winning connections. Ruffian – The Astoria Stakes – This rare photograph pictures Ruffian and Jacinto Vasquez drawing away in deep stretch to win The Astoria Stakes. 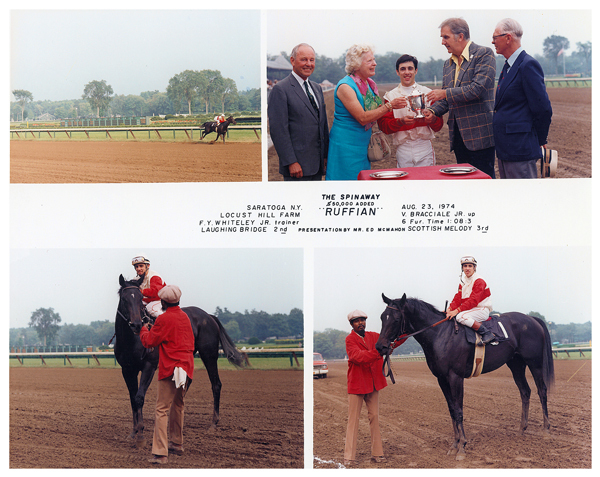 Ruffian The Caltha Purse 1975 – Ruffian resumes her winning ways with a victory in the Caltha Purse. 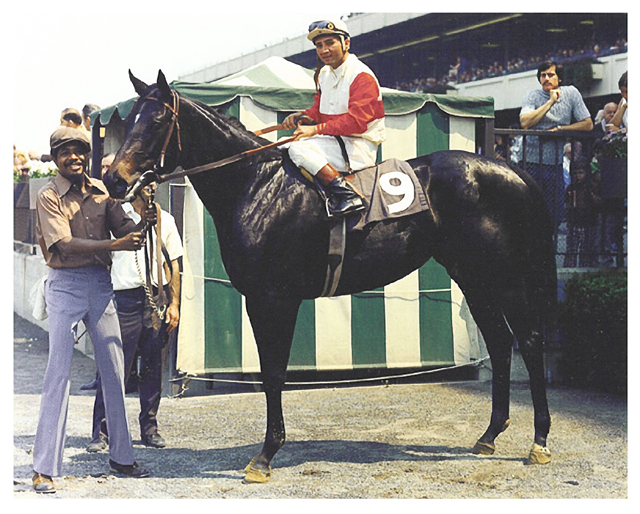 Ruffian Maiden Victory Belmont Park – Winners Circle – A rare photo of Ruffian at age 2 in the winners circle after her maiden victory. Go For Wand – Twice Eclipse Champion at 2 & 3. 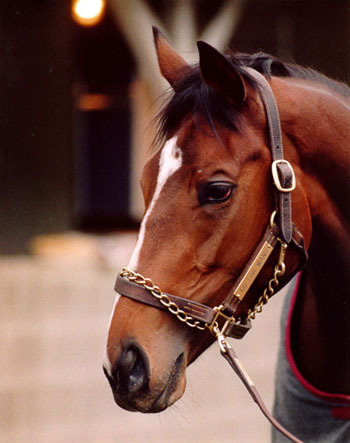 Rated 13 greatest filly of the 20th century by The Blood Horse.